This room is decorated by American Interior Designer Mary Mcdonald who is also a cast member on BravoTV’s Million Dollar Decorators series. This isn’t my photo (by the way) and I think it’s not one of her recent works either. But, however old this photo may be, I had to put this up because to me, the use of yellow in this room is extremely well controlled. 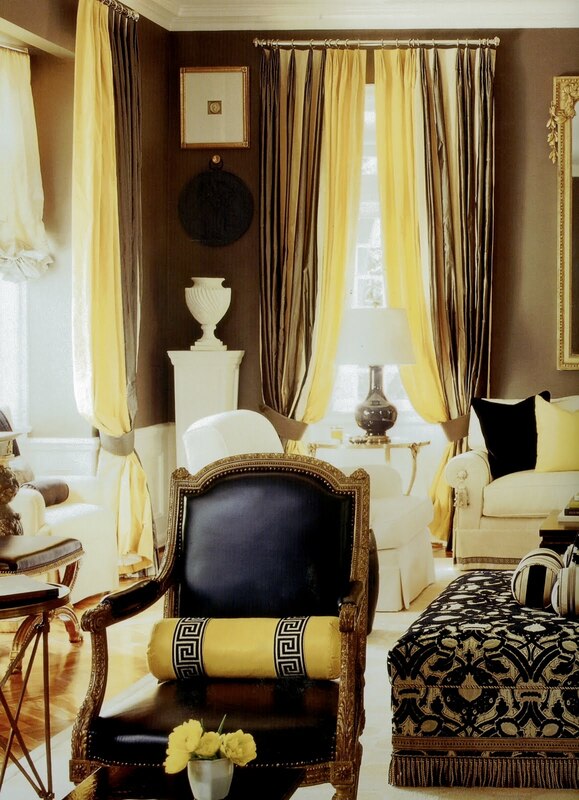 The way the yellow is carried out through the different room elements (curtains, cushions, tube pillow & flowers) ties the room together creating a warm and inviting space. What a perfect way to blend a primary colour into a room.